Our newest Daimler DS420 was built in 1996 but still exhibits all the classic lines and hand finished splendour which made these cars famous. The colour theme of ebony and ivory follows through to match in classic style with our other cars whilst the interior is hand finished in grey leather with hardwood detailing. The 4.235 litre Jaguar straight six engine is coupled to an automatic gearbox to ensure the car glides along in style and comfort is ensured by the limousine suspension system adopted by Daimler. 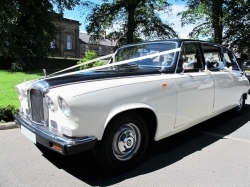 Alnwick Wedding Cars can pair up two Daimlers or a Daimler and Rolls Royce to offer luxurious and traditional transport for your wedding appointment to ensure your Bridal Party arrive in style. 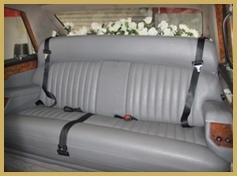 This vehicle also offers seven seat luxury with the classic style associated with the traditional wedding car for your ceremony. 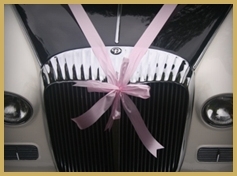 There are silk flowers lining the parcel shelf and ribbons will be fitted in either white or ivory or in a combination of colours to ensure the ribbons and bows match your colour scheme for the day. 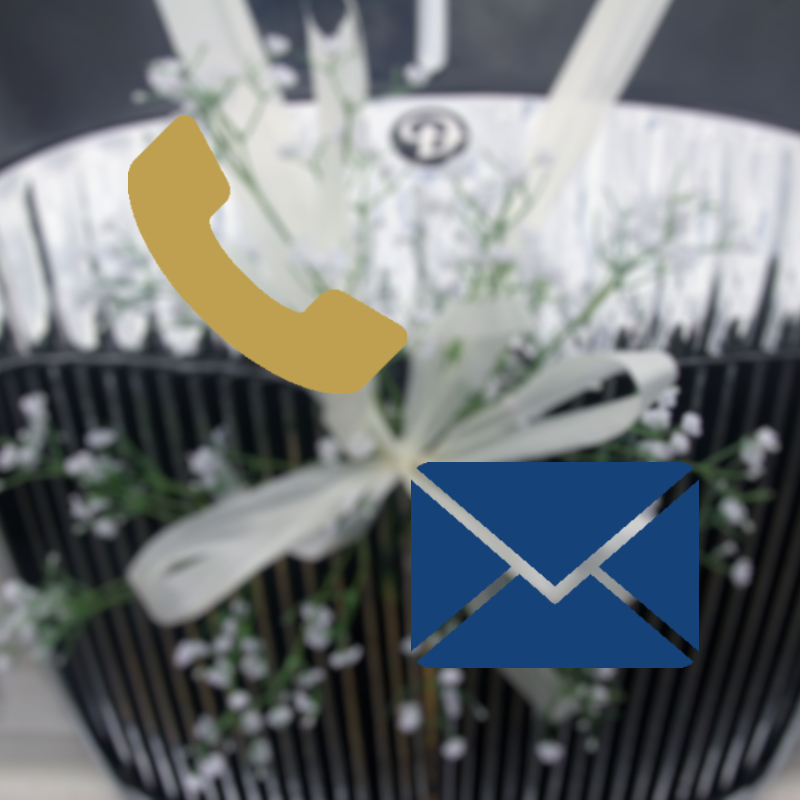 You can book this car on its own, a Rolls Royce and Daimler or two or more Daimlers to suit the needs for your special day.